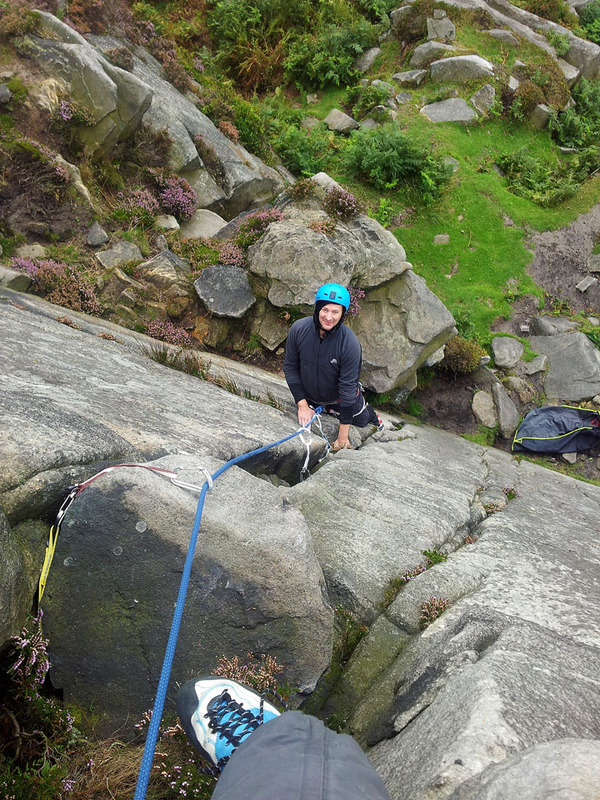 Three days booked in the Peak District for some climbing. First and third days spend on opposite ends of Stanage Edge and the second day was a washout so we went skiing in the indoor snowdome in Manchester! Temperature inversion over the Hope Valley at 8am this morning. Mam Tor round to Lose Hill. 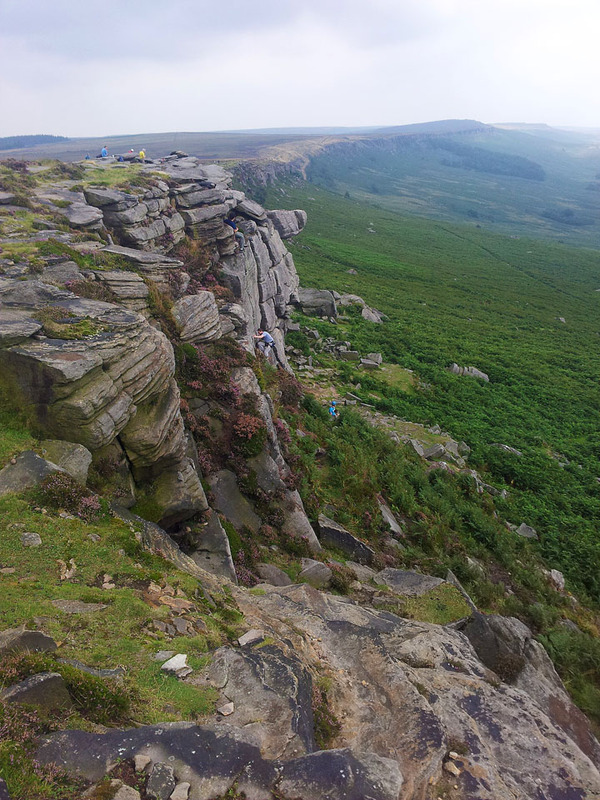 Lose Hill, Kinder Scout and Win Hill. 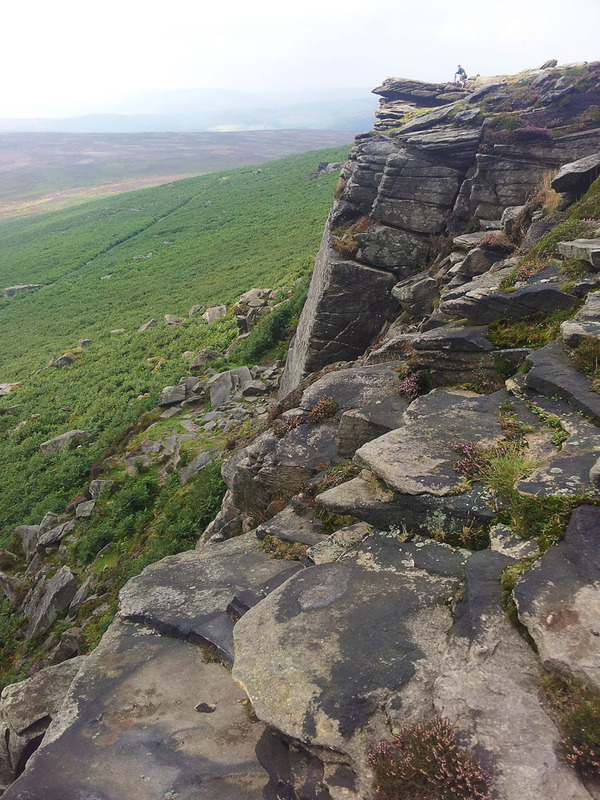 An early morning Panorama of the Hope Valley from Stanage Edge. Click for larger version. 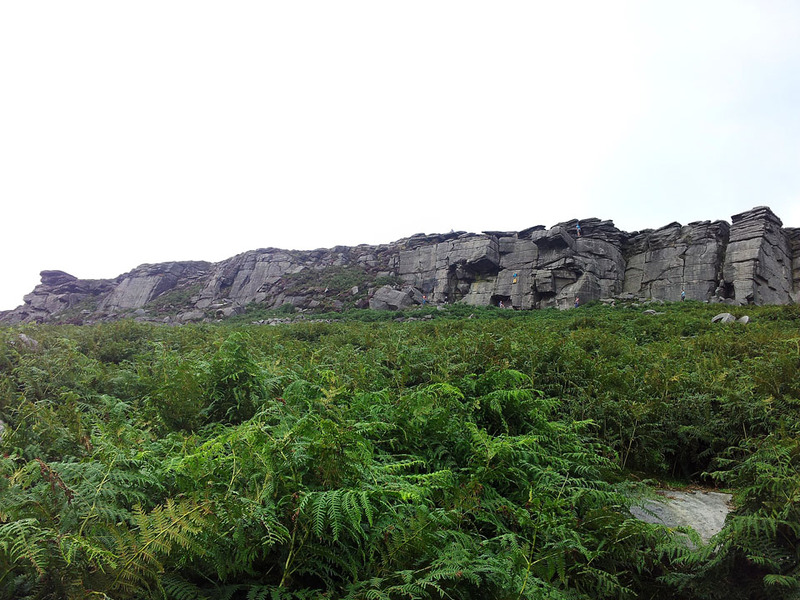 The first climb of the day was only graded 'Difficult' and followed a crack behind the rocks. It was a little tight in places! 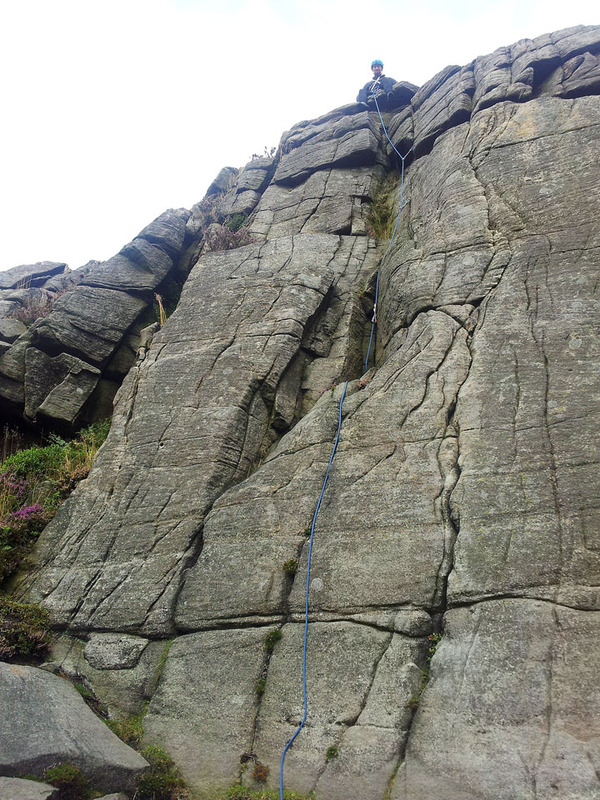 Another route - this one was Hard Severe and was a little tricky. A nice easy 'Diff' route before me moved to High Neb. Now at the popular section of High Neb. Although hazy we still had some lovely views. A rather difficult lead I think! This was graded as HVS so not for another few months I think. The crux of the route. And he did it! Well done chap!